This position is not one that I was expecting or aspiring to at the time I applied. Life has many Y’s in the road. The birth of my daughter 16 weeks early at 568 grams threw a wrench into my coaching aspirations. I went from thinking I would take a few days off and get right back on the court, to 15 months after her birth back to work and things and my perspective had changed. I coached another one and a half seasons and then suddenly within four months of each other, my father and sister both passed away. Adversity brings many things to the surface and these events re-affirmed that my passion was coaching but my priority was family. I had a healthy beautiful two-year-old daughter and I was blessed. The athletic director job was posted just after coaching my first U SPORTS season and I took my dad and sister’s advice to always aspire to learn new things and get out of my comfort zone, so I applied. I did not think I would get the job, but once I put in my resume, I prepared to the best of my ability and it became my next goal. What I enjoy most about this position is the opportunity to meet, mentor, and be apart of so many amazing student athlete’s journeys. My previous vested interest in just the women’s basketball program changed to a vested interest in all the Timberwolves teams and student-athletes. I could not be happier to have them pop into the office and learn about who they are as people and watch them on their field of play. They are ambassadors of UNBC, they are role models, they are contributing members of the community and I am so proud of them. It is so nice to build these relationships and leave the line running, push-ups, and daily practice grind to their coaches J.
Ken Shields. He was and continues to be a mentor in my life. He pushed me outside my comfort zone and still holds me accountable. I am forever grateful for his friendship, guidance, constructive feedback and support. Sitting with him and his wife Kathy at their dinner table eating chinese food arguing over how to defend VIU’s flex screen is a memory I will not forget anytime soon. Not sure we all ever agreed on the ‘right’ way, but we did all agree that whatever way, we do it correctly with attention to detail. Winning UNBC’s first BCCAA provincial banner on home court in the first year in our new facility. 4. How would you define a UNBC student-athlete? A UNBC student-athlete is an athlete who is a member of the Timberwolf family. 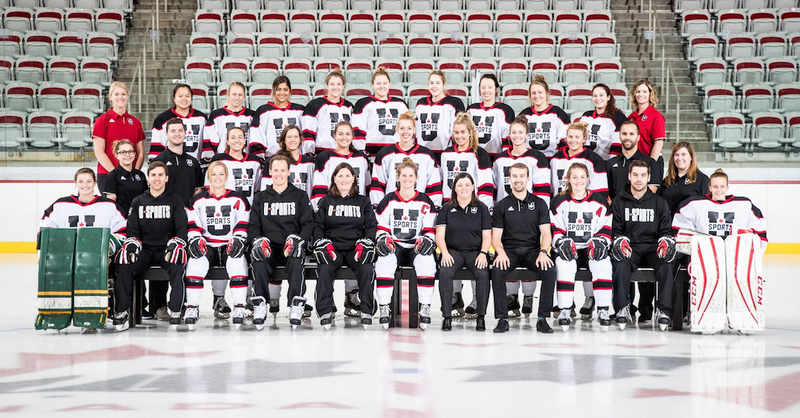 They are a very special group who were recruited because of their academic fit at UNBC, and their pursuit of excellence in their sport. They are good people who give back to the community, work hard in the classroom aspiring to become Academic All Canadians, and have a passion for their sport. Our student-athletes are proud to wear our school colors, and they have goals of taking their individual teams to the next level. As a young U SPORTS school, our student-athletes are hungry for more on and off the field of play. 5. 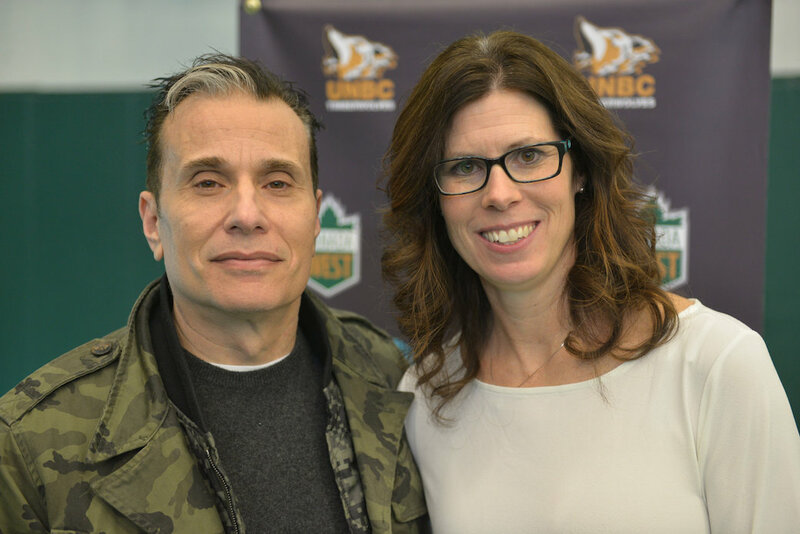 What does success look like for the UNBC athletics program? We look at things like retention and are proud to say that we have a very high student-athlete retention rate. Our number of Academic All-Canadians has grown every year since entering Canada West and this past season, every one of our teams made it to the post-season. We have talented, dedicated coaches who are recruiting great student-athletes and this is going a long way in their locker rooms and with their results. 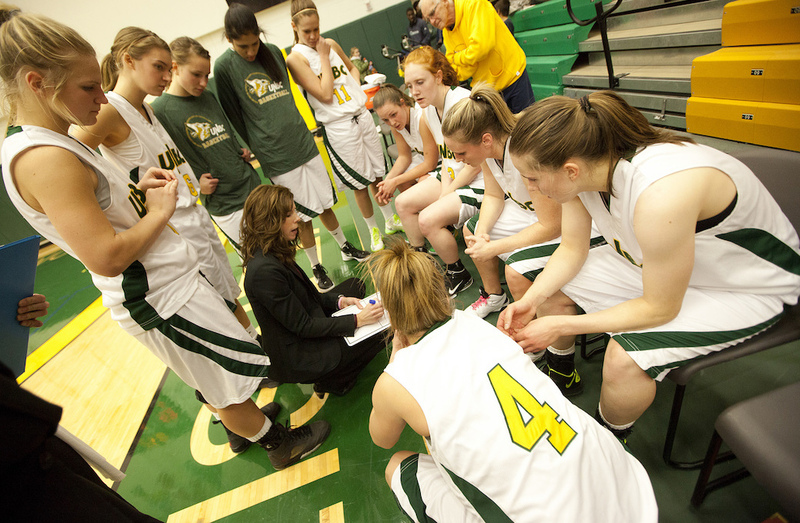 Success is not defined by just wins and losses at UNBC, it also includes community, recruitment (both domestic and international), retention, academic progression, graduation, and alumni involvement. Financial restraints would be the biggest challenge. Universities are having to rely more and more on fundraised dollars and that is soft money. 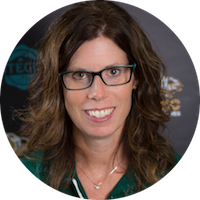 My long-term goal would be to have sustainable funding for scholarships and bursaries, as well as being able to assist our coaches with more competitive exhibition schedules. Being a more remote university, the costs to get to games are very high. I think Canadian University sport will continue to grow over the next three to five years. With social media and the excellent work our sports information staff are doing across the nation, the awareness is going up and will continue to. Access to livestreamed games and consistent growth of our product will not only bring in support but keep it. 8. If you could sit down for dinner with one person in the sports industry (athlete, coach or manager), who would it be? John Wooden – I would be star struck! Why? He was such an inspiration to me as a young coach. I read all of his books and learned a lot about life! He brought in so many different aspects of coaching that had nothing to do with X’s and O’s. How his religion, family and outlook on building a tradition was all intertwined was remarkable to me. He was a true inspiration. I would talk to him about building culture and tradition and all the building blocks in his Pyramid of Success. How he got his team to believe and the winning streaks his teams had are amazing to me. I would highly recommend that they watch and I would constantly remind them that these athletes are students first. They have full course loads, they volunteer in the community, and they devote more time to their sport than some people do in a full-time job. The level is extremely high and the competitive nature will surprise them. I love spending time riding and showjumping my horse and spending time with my daughter, family and friends at the lake.